Congratulations to tour winner Roger V. and to host winners Laurie's Thoughts and Reviews and Bookaholic. 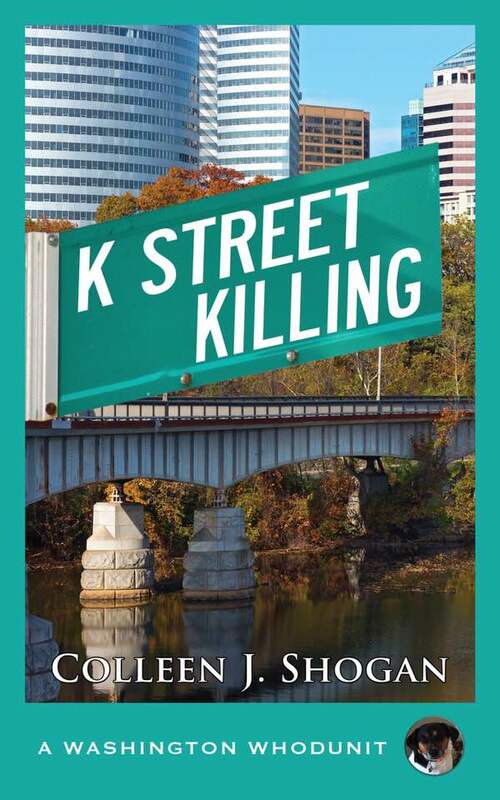 Goddess Fish Promotions is organizing a Virtual REVIEW ONLY Tour for K Street Killing by Colleen J. Shogan, a 242 page Mystery available July 15 from Camel Press. The tour will run every Monday for 4 weeks starting on July 16, and the book is available in PDF, mobi and ePub formats. Colleen J. Shogan will be awarding a $50 Amazon/BN GC to a randomly drawn winner via rafflecopter during the tour, and a $25 Amazon/BN GC to a randomly drawn host. Additionally, Goddess Fish Productions will be awarding a $5 Amazon GC to a randomly drawn host. At a fancy Washington political fundraiser for Congresswoman Maeve Dixon, Kit and her best pal Meg do their best to woo wealthy lobbyists for campaign donations. When a powerful K Street tycoon mysteriously tumbles off the rooftop, Kit must spring into action to discover who killed the notorious Van Parker before Dixon's candidacy sputters.